Hi all :) Messy Mansion recently added some new plates to their collection, and I received 4 of them to show you, so here we go! I'm showing all the plates in this post, and only 1 mani, but you'll be seeing more nails done with the other plates soon too. I just couldn't resist sharing them all straight away! 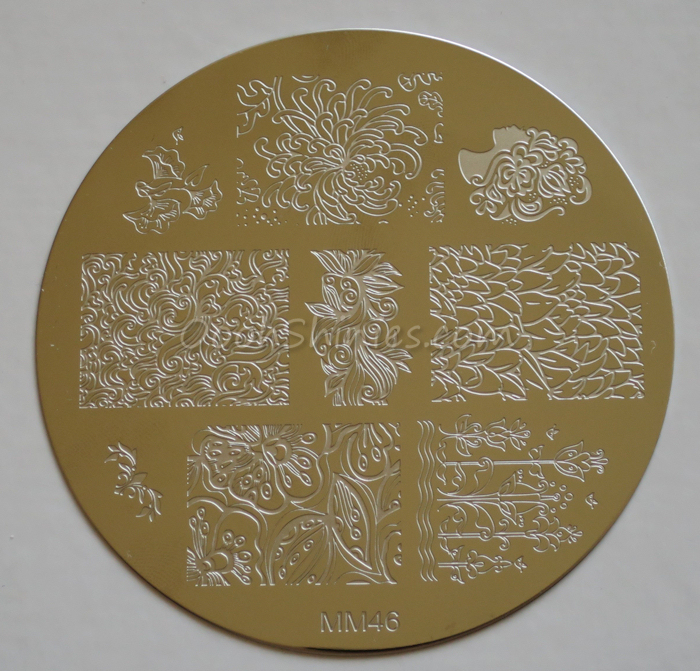 MM46 is a floral plate, and it's prrrretty! I think the bottom left image with the thicker lines will be great in a bolder colorcombo, and they'll all be great in tone-on-tone. 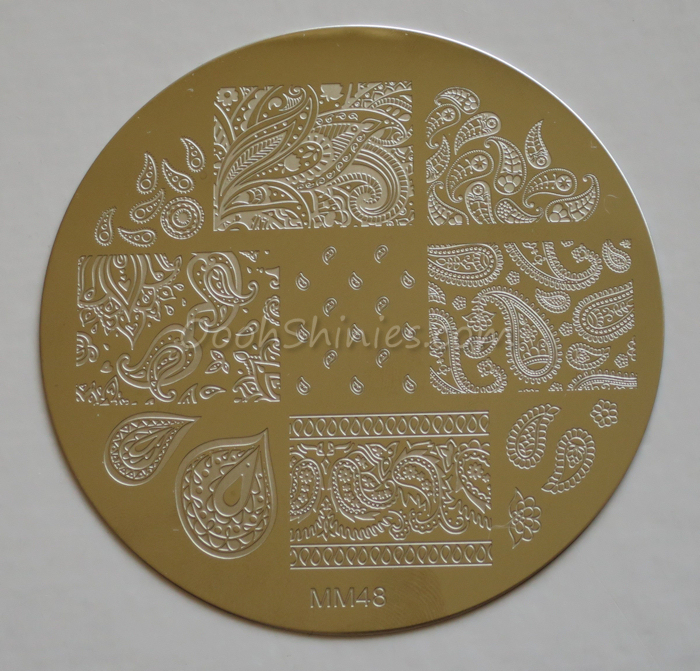 And the middle right one might work great for a messy base with various colors, stamped in black or white! MM47, what a unique plate! 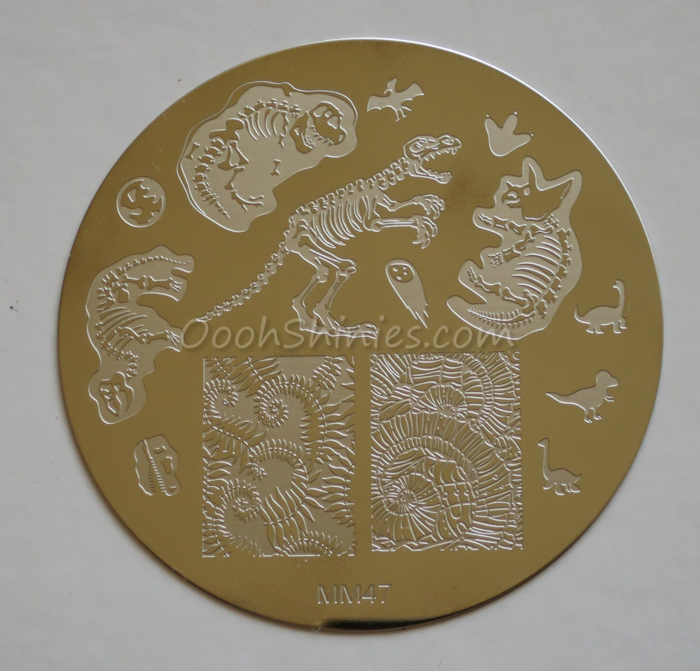 This will be perfect for the dino lovers, but don't forget those fossil images either! In this setting they're clearly fossils, but I bet they'll look quite different with some bright colors. I've already done some with the dinos, and will show that in my next post. This plate made me think of Ross from Friends, haha. Oh, and I think there's a new Jurassic movie coming out, if you're going there and want a matching mani, look no further! 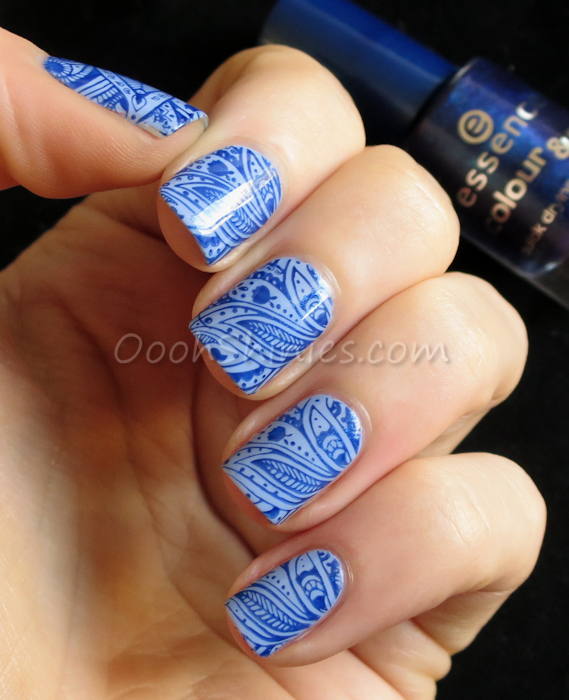 MM48 is the plate I used for today's mani, if you love paisley prints, you neeeed this plate! 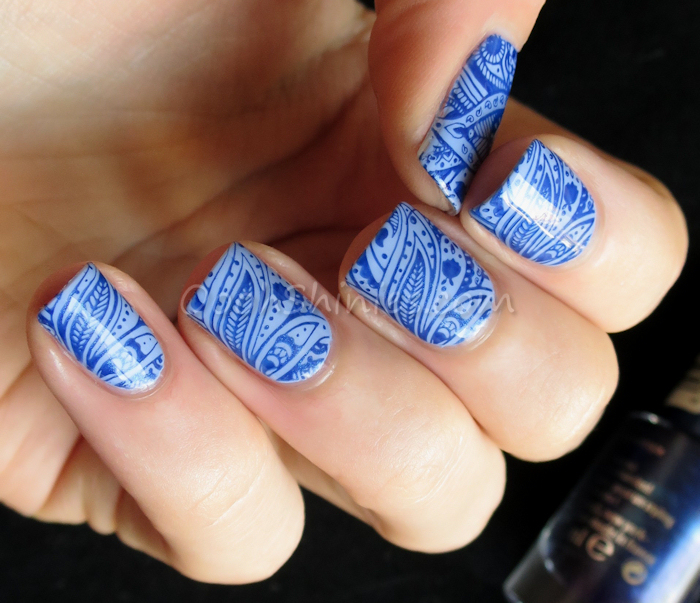 Aren't these designs beautiful? 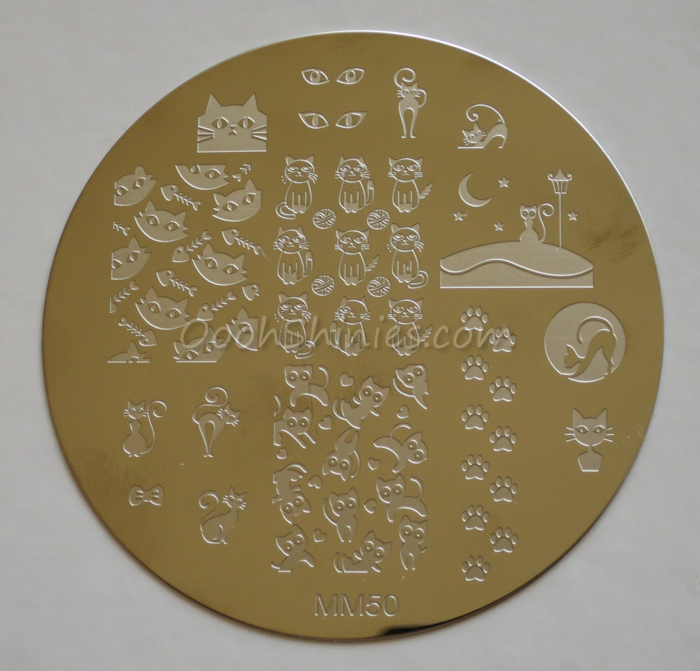 I'll of course update my stamping plate comparison, but I'll tell you straight away, the full nail designs on these plates are BIG. How big? This pic will give you an idea I think! 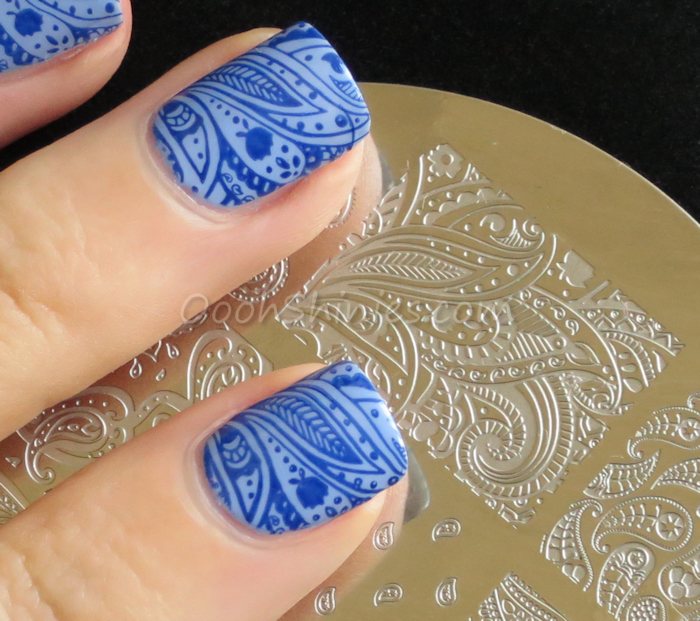 I stamped that image sideways, the width of these designs is big enough to fit on the length of my nails! The full nail images on these plates measure 2.3 x 1.75 cm. 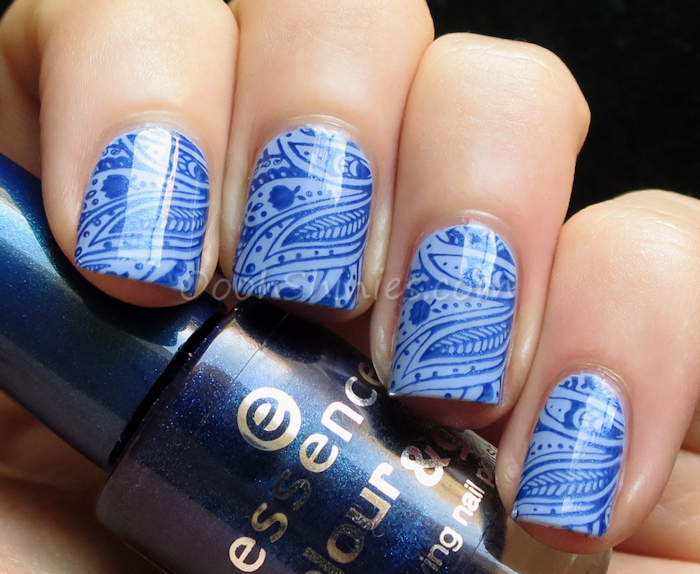 Essence Absolutely Blue with Essence Hard To Resist and Messy Mansion MM48. What's your favorite of these plates? :) Thanks for looking!